Thinking ahead and planning your day is one of the keys to gaining a sense of control over your time, your life and your work. Without a plan for the day you run the risk that circumstances and other people’s requirements will end up determining what you accomplish. Regularly developing a daily plan is one of the most essential time management routines that you can cultivate, because it can help you to prevent much of the stress that is created through personal disorganisation. Interruptions and distractions will more likely interfere with your ability to do what really needs to get done that day – which in turn will hinder your ability to advance towards your longer term goals. Without a plan, it’s so much easier to get side-tracked by stuff that’s happening around you …… so easy to fall prey to the demands and temptations that other people throw at you. Your day can push and pull you in many different directions unless you know what you want to achieve. Without a plan at the beginning of the day, it’s far more likely at the end of the day you’ll feel a sense of emptiness that comes from knowing you haven’t achieved the things that mattered. You’ll feel a sense of disappointment that you haven’t been as productive as you’d intended and perhaps even recognise with the benefit of hindsight that there were simply too many occasions through the day when your time had been wasted. After all, there is no difference in the amount of time that you have available each day, compared to the likes of Bill Gates, Mark Twain, Steve Jobs or Albert Einstein. It’s what we accomplish with our time, and therefore also with our capabilities, that determine the mark we leave in our life. So then what are some of the steps to remember when you think about how to plan your day? 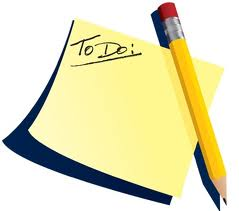 Once you’ve identified the top priorities on your list (the Must-do’s) and estimated how much time these items will take, then look at what are the next most important items (the “Should-do’s) and estimate and allocate how much time each of these will take. Then schedule them into the remainder of your day. One final point in closing. Try to ensure you plan for some “Me time” in your day ….. the opportunity to take a break and refresh yourself. You can’t just go from task to task and remain clear headed and productive. Too many people work their breaks, eating a bit of lunch at their workstation. You might think you’re saving time in working through lunch, but the reality is that the quality and clarity of your thought will suffer if you don’t take regular breaks to re-energise yourself! By doing so, when the years pass and you look back on things, you’ll have that sense of deep satisfaction that comes from having no regrets. Here’s a short video featuring Jack Canfield offering some suggestions on how to plan your day ….